UBS and Wealth-X have teamed up again to produce the World Ultra Wealth Report for 2014, totting up the number of people with $US30 million or more (£19.1 million). 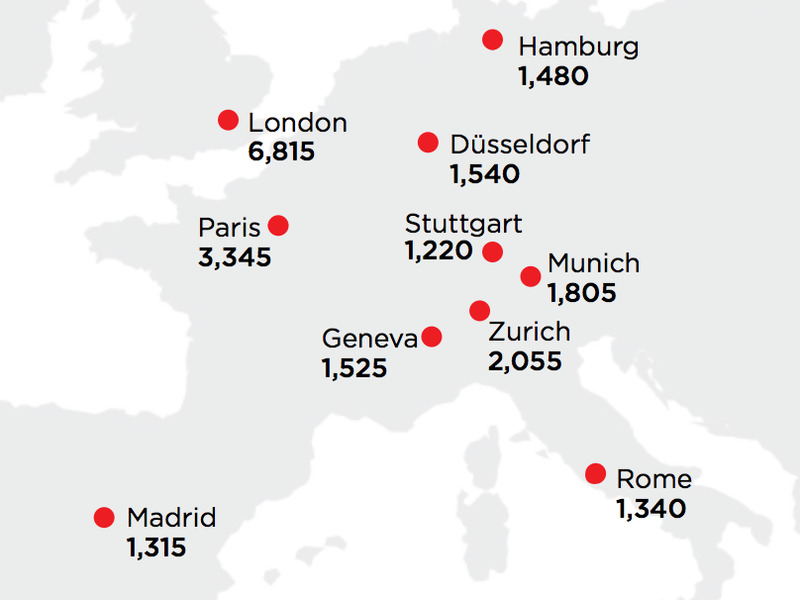 There’s a huge amount of information in the report: you might be surprised to learn that Germany has far more ultra-high net worth (UHNW) residents than the UK. With a population only 25% higher than the UK, Germany has 65% more super-wealthy people, and nearly a third of Europe’s total. 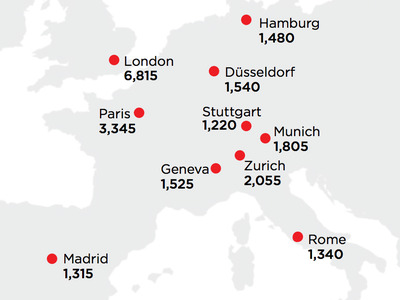 The difference is that they’re spread out: Dusseldorf, Stuttgart, Munich and Hamburg all have between 1,000 and 2,000 UHNW residents. In comparison, more than half of the UK’s 11,510 mega-rich people live in London, making the British capital Europe’s undisputed haven for the wealthy. Despite that astonishing figure, UBS points out that the large majority of the UK’s hyper-rich are self-made plutocrats. 75% of the UHNWs in Britain made their own fortune. In Switzerland, that drops to just 43%, and falls further to 41% in Germany and Switzerland.